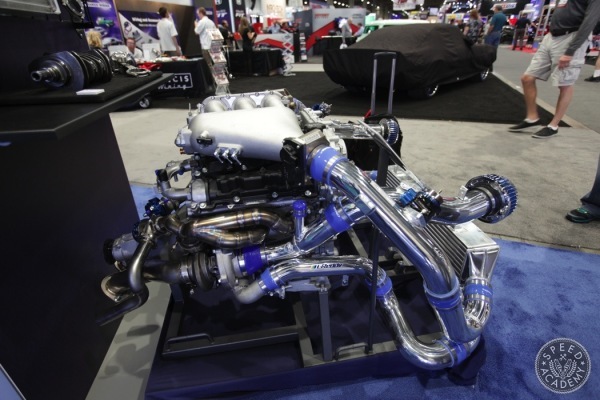 In Part 1 of the Turn14 Distribution supported K-swapped 240SX project, we covered off some of the initial hurdles that had to be cleared in order to fit a Honda K24a2 (out of an ’04 Acura TSX) into the engine bay of our 1995 Nissan 240SX. 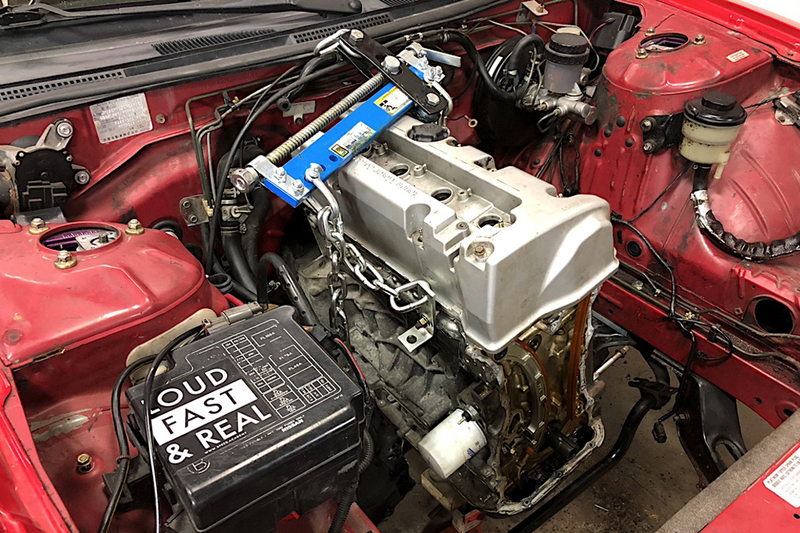 In the end we swapped in a Type S oil pump modified by Lavigne Motorsports, modified the oil pan, and modified the front subframe in order to optimize the position of the engine as much as possible. 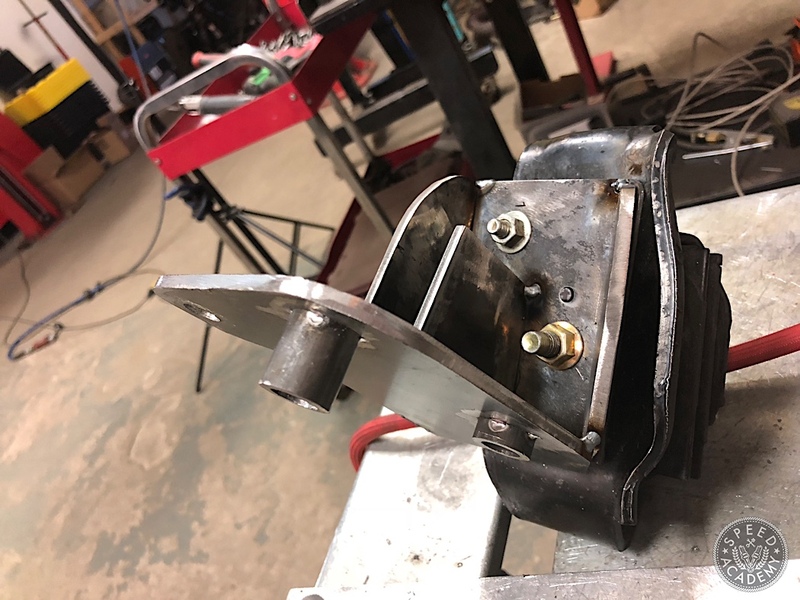 With the engine in the position we wanted, it was now time to fabricate the engine mount brackets. 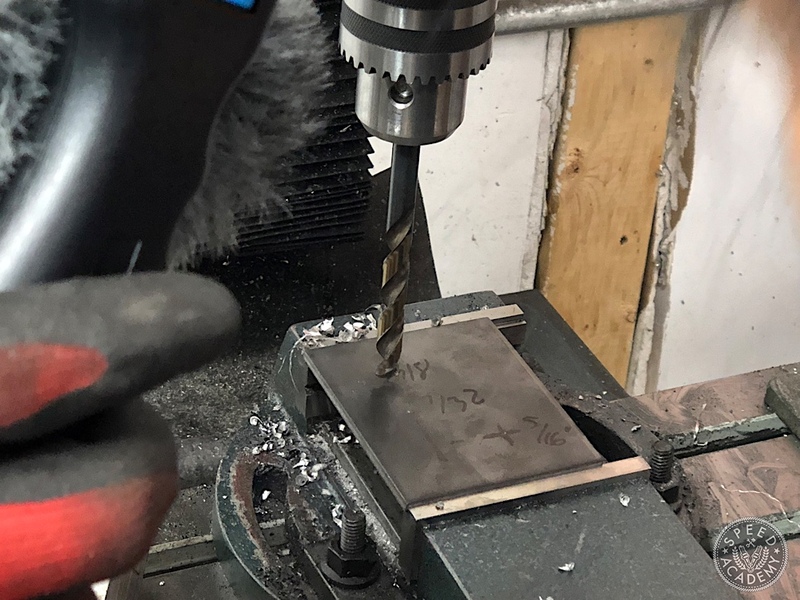 After taking some initial measurements, Vinh the master fabricator at NV Auto got to work by turning this basic piece of 5/16” thick plate steel into the engine side of the driver’s side bracket. 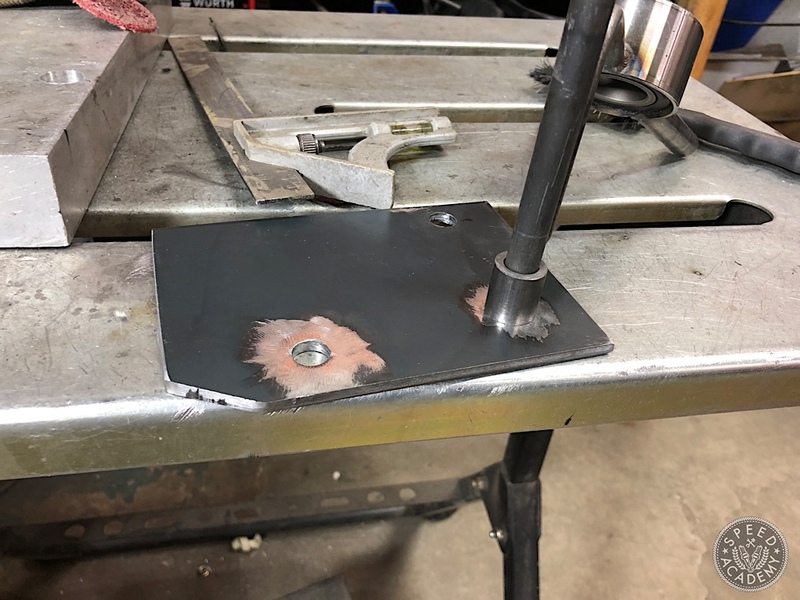 Because the mounting holes on the K24 engine block are at different “heights”, Vinh had to account for this by adding this piece of tube to the backside of the mounting plate. 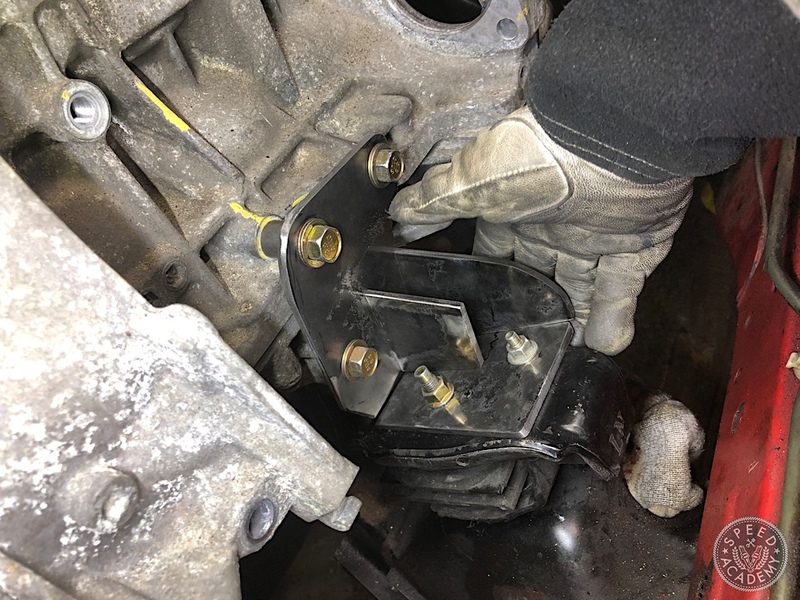 Here you can see that first plate with the tube bolted to the block, and you can also see Vinh has a plate on the subframe engine mount side of the bracket now too. All that’s left is to join these two plates together and we’ll have a finished mount. Sounds simple enough, but it does take skill and experience to fit up the plates and join them in a way that is both strong and not too heavy. 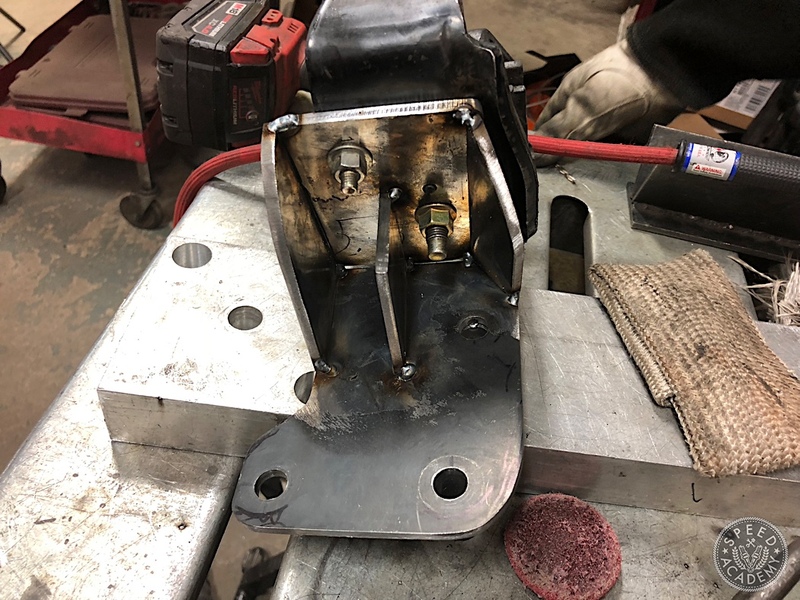 Once Vinh was satisfied with his approach and tack welded things together in place on the car, he pulled out the bracket to finish weld it. 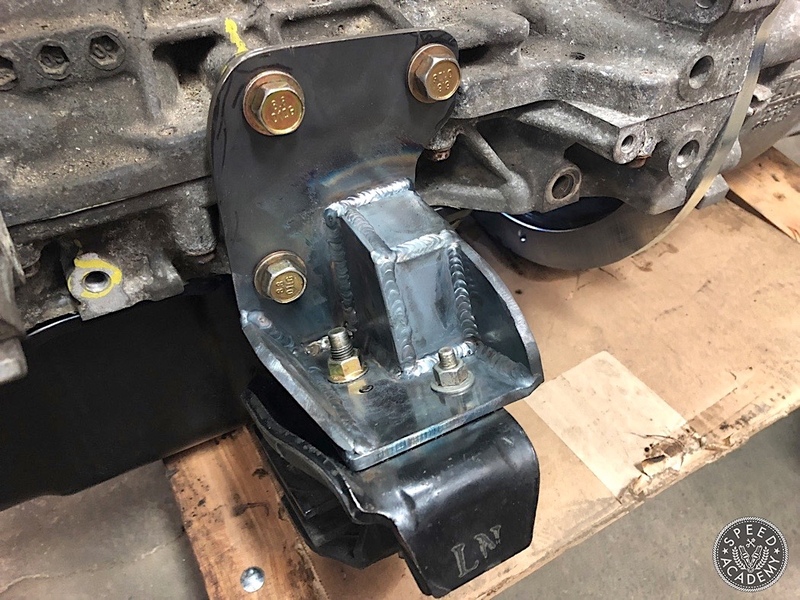 The end result is this very strong bracket with proper access to all the bolts. That process was repeated on the passenger side, with the end result looking like this (above). 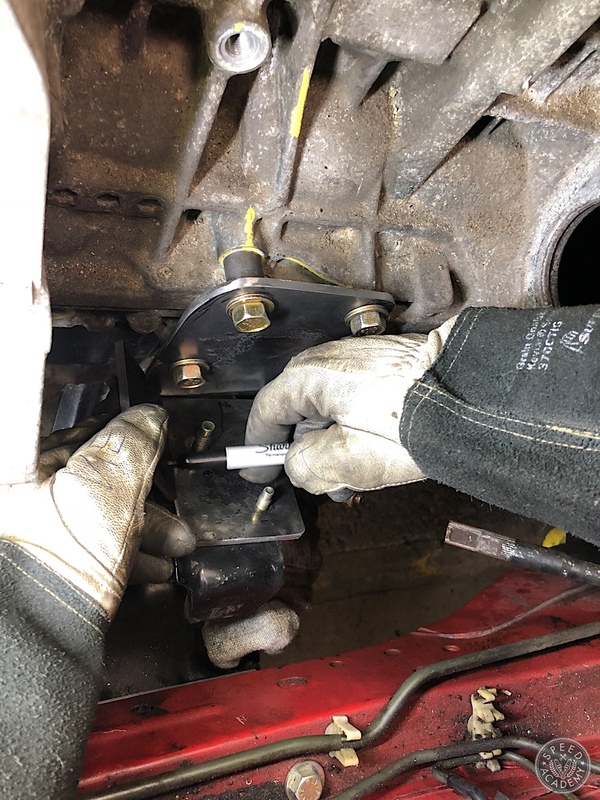 With the engine securely mounted (with Nismo rubber engine mounts between NV’s brackets and the subframe for vibration isolation and damping), it was time to move onto the transmission mount. 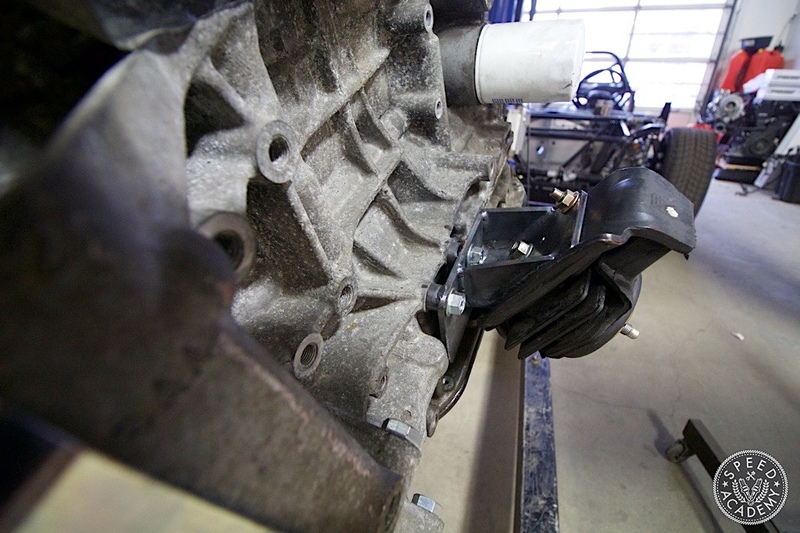 For a full episode of engine mount bracket fabrication, check out the video above.